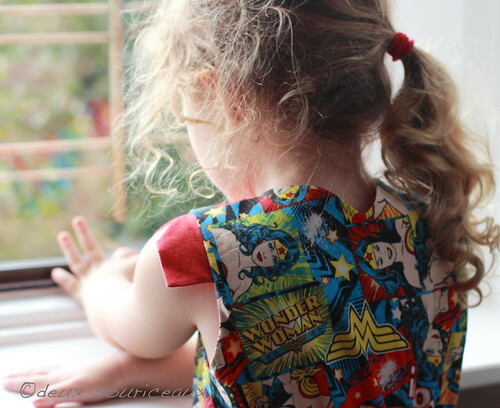 Home › Creating › Sewing › Wonder Woman Dress! V has been obsessed with Wonder Woman for a few months. Do you have any idea how hard it is to find female superhero stuff? 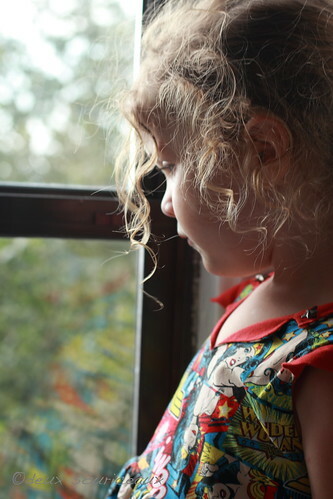 At least, V like the one that has the most merchandise… Even then, I knew she would love a dress from Wonder Woman fabric but there wasn’t any. Avengers, Spiderman, Superman, Batman, X-Men… Not Wonder Woman. 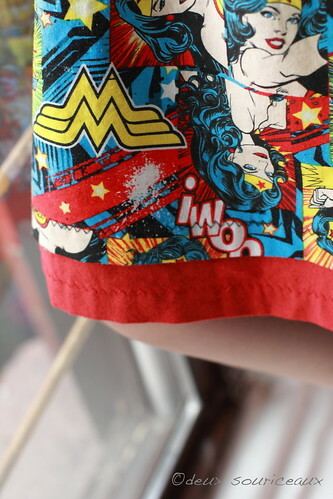 So when I saw this Wonder Woman fabric pop up at Hawthorne Threads, I just had to get it. And there was no question that it should be a Verona dress. I never had to think about it, it was just obvious. I chose a coordinating Cloud 9 solid. Honestly, I would have liked the red to be more, well, red, but it works fine. 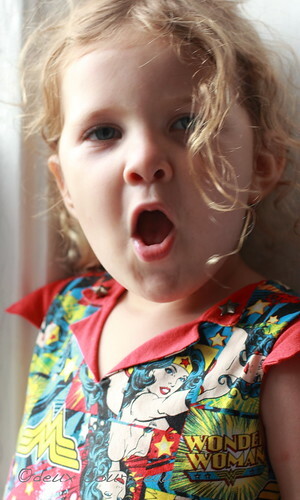 V’s other Verona dresses were a size 3 and while she can still get them on, they’re getting small. I switched to a size 4 and it fits exactly right. I chose the notched rectangular cap sleeves. Because they felt superhero-ish. And star buttons (found at Pacific Trimming in NYC) to hold the collar down. The stars have a bit of military feel to them that goes with the superhero theme nicely. 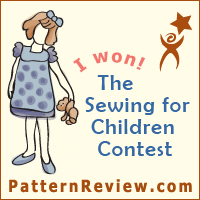 I used a zigzag stitch at the hem because, umm, I wanted to? I had a reason for doing it but I’ve forgotten. I confess that the upside down Wonder Woman symbol bothers me. 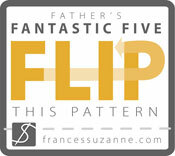 The fabric is great because no matter which way you look, something is going to be right side up. I chose to have the words “Wonder Woman” be right side up all over but that symbol. It’s annoying me. Thank you! It’s a great pattern. I love how the collar makes it look a little bit dressy but it’s still totally appropriate for play. I love this so much! We need to plan a fabric shopping trip to the city soon! This is a great dress. 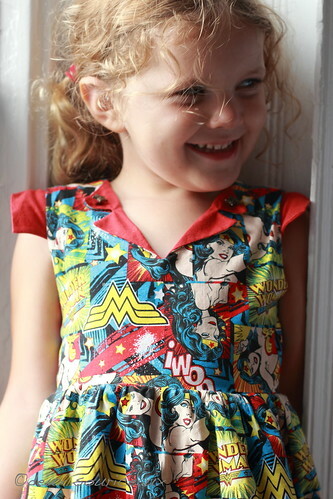 I love it with the Wonder Woman fabric and the coordinating red – plus the studs on the collar. 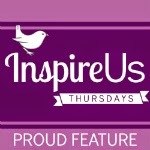 Great use of the pattern! Thank you! I loved making it. 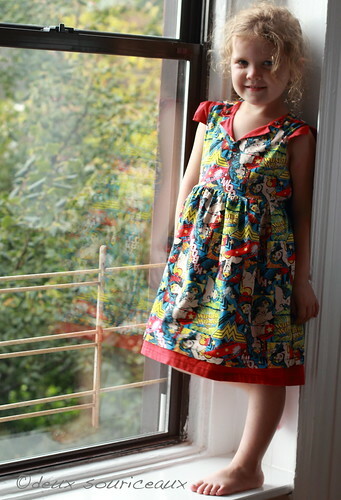 My daughter didn’t actually need a new dress but I had to make it! That is the coolest print! Wonder Woman is my sisters favorite too! Thank you! V gets so many comments when she wears this dress.